This time of year i’m usually packing my bags, getting ready to go lose myself in Japan for a couple of amazing weeks, but as our Honeymoon carried over into January, going again this year wasn’t really possible. Today is actually three years to the day from our first arrival in Tokyo, so for the next 6 days i’ll be posting a pic from each day of that first trip! 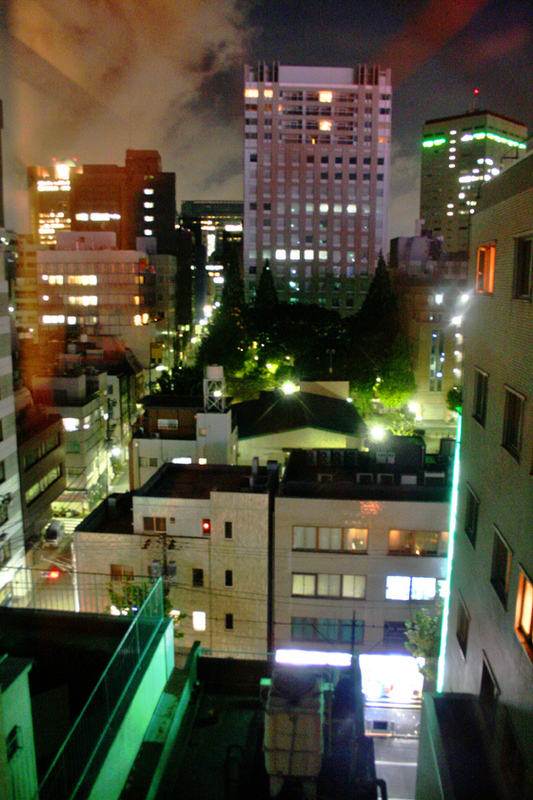 We arrived into Tokyo around 1pm, getting off the Yamanote line train at Akihabara to head to our hotel – the now demolished Tokyo Green Hotel, Ochanomizu. Jetlagged as hell we got settled and went out for a walk and a bite to eat before getting an early night. Woke up at goodness knows when in the morning and took this shot out of our hotel window of the neon wonderland I was itching to go explore! The next day did not disappoint.